Women and Children First is already putting your donations to good use in the Oyam district, Northern Uganda. 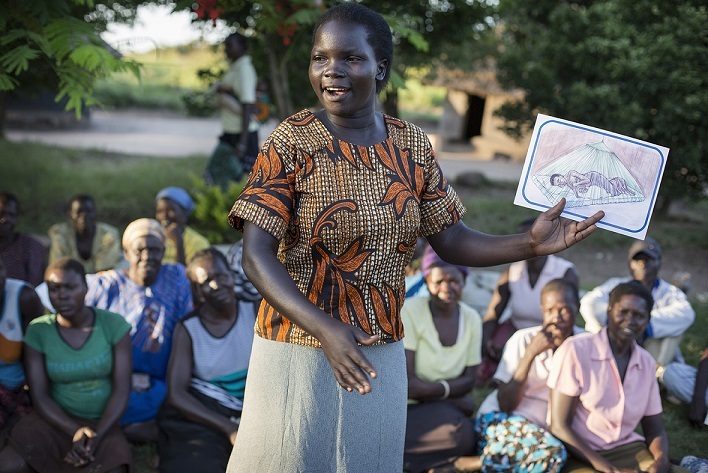 183 community health workers – 1 per village – have been trained. They will deliver vital support, advice and medical assistance to pregnant women and babies throughout the project area in Oyam. The charity, with our local partners, has also helped train women’s group leaders - or ‘facilitators’. Now that their training is finished, they will help communities to learn from each other and act together to look after expectant women, new mothers and their babies. The self-help groups when running will offer an empowering, solution-based approach to the issues that pregnant women and new mothers face in Oyam, such as malaria, long distances to health services and malnutrition. Finally, we have supported the training of midwives, to ensure that their skills are up to date and they can offer women and children the best care possible. While sounding like simple actions, these are all proven approaches to improving the health of women and children and saving lives, and have been effective in the other countries where Women and Children First has worked in the past. Indeed, in other areas of Uganda where we have done similar work, more women started attending antenatal check-ups and giving birth in health facilities – leading to safer pregnancies and fewer deaths.